Of the nine films nominated for Best Picture, four have themes or sub-plots related to disability. For example, Manchester by the Sea includes themes of mental health, alcoholism and drug use. Likewise, Moonlight includes story lines surrounding drug addiction. Arrival, a science-fiction film, includes a child who dies from cancer. Fences, a film that has received multiple accolades for its racially diverse themes, also includes a disability storyline. Lead character Troy Maxson (Denzel Washington)'s older brother Gabe Maxson (Mykelti Williamson) sustained a traumatic brain injury (TBI) during World War II. Children in the neighborhood often torment Gabe. When Troy bails Gabe out of jail for disturbing the peace, Troy unknowingly signs a paper that routes half of Gabe's pension to a psychiatric hospital, forcing Gabe to be institutionalized. Williamson does not have a disability himself, which is quite common when it comes to casting actors portraying people with disabilities. The Ruderman White Paper on Disability in Television found that non-disabled actors on television play more than 95 percent of characters with disabilities. When asked by the Los Angeles Times about playing the role of someone with a TBI, Williamson acknowledged the many variables and "different levels of injury and effect" of someone with a TBI. In the full-length documentary category, Life, Animated, a film about Owen, a boy with Autism, was nominated. The film shows how Owen, a young man who was unable to speak as a child, and his father are able to connect using Disney animated films. One film that exemplified the positive portrayal of disability this year is Finding Dory, yet it was not nominated for an Oscar. It was the number one film at the domestic box office last year. Financial successes like this film show that positive portrayal of disability is a winning theme. In Finding Dory, disability is not something Dory needs to overcome, but something she needs to learn to live with, accept and work with to accomplish things "in her own Dory way." But while these films include disability themes, no known actor or other individual with a disability was nominated for an Oscar. As previously noted, more than 95 percent of characters with disabilities are played by non-disabled actors on television. When a non-disabled actor mimics someone from any minority group, whether it be racial or disability, he takes a job from an actor who genuinely has that characteristic and perpetuates that group's under-representation in the industry. Fences, as well as Moonlight and Hidden Figures are all films nominated for best picture that have been noted to be racially diverse. 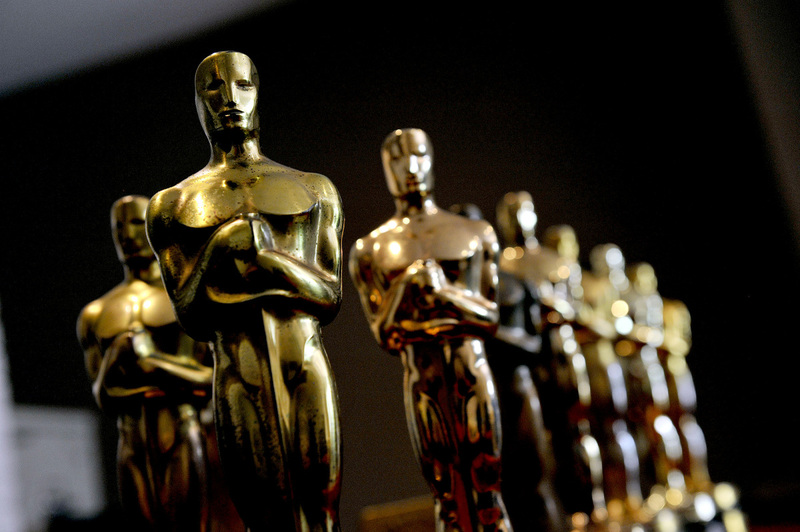 In addition, six black actors have received a nomination, which is a record high. "The studios and major film distributors really gave it to us this year," said Gil Robertson, the African American Film Critics Association's co-founder and president. "By any measurement, it's been an exceptional year for blacks in film. From comedies to high-quality dramas and documentaries, 2016 will forever represent a bonanza year for black cinema, and all cinema really." In a statement, Robertson also spoke of the importance of other minority communities, listing out the "Asian, Hispanic, Native American and LGBT communities," but he failed to include the disability community - a common occurrence even among the best intentioned. People with disabilities are the largest minority in America, with almost one-in-five Americans having a disability. Yet the disability community often is forgotten in diversity conversations. According to GLAAD, fewer than two percent of scripted television characters (15) have disabilities. In addition to the lack of representation in general, what does exist is misleading. Almost all portrayals of people with disabilities in media are white, despite the fact that disability impacts all ethnicities. According to a recent report by The Media, Diversity, & Social Change (MDSC) Initiative at USC's Annenberg School for Communication and Journalism, only 2.4 percent of all speaking or named characters in film were shown to have a disability in 2015 and none of the leading character were from underrepresented racial or ethnic groups. "Depictions of disability are not only marginalized," the report says, "they also obscure the true diversity of this community." It is important to note that anyone can join the disability community at any point in time and that people with disabilities come from all communities - including the African American, Asian, Hispanic, Native American and LGBTQ communities. Meryl Streep, who spoke out about the importance of not making fun of people with disabilities during her Golden Globe lifetime achievement award speech, has marked another lifetime achievement - her 20th Academy Award nomination. Our group, RespectAbility, previously called on Streep to "walk the walk" when it comes to full inclusion of people with disabilities. Actors with influence like Streep's have the power and influence to ensure that television and movies include people with disabilities with accurate and positive portrayals. This includes not only characters but the actors themselves - as well as employment positions on the other side of the camera. Streep is a three-time Academy Award winner who has been nominated for a record 19 Oscars and 30 Golden Globes. Change takes a lot more than pointing fingers at someone else's shortcomings. It takes personal action and leadership. As one of the world's finest artists and actors, she has tremendous power. How great would it be if the next time she was cast in a film or television show if she simply asked the script writers to ensure that the diversity of the roles, including people with disabilities, reflected society at large? What people see and hear impacts what they think and feel - and what they think and feel has life and death consequences. People with disabilities lack access to healthcare, education and employment opportunities. Medical professionals withhold treatments due to valuing people with disabilities less than those without disabilities. This ranges from OB/GYNs recommending abortions for fetuses with non-fatal prenatally diagnosed conditions to orthodontists not placing braces because of prejudice. A major Princeton study showed that people with disabilities are seen as warm, not competent. Similarly, a Cornell Hospitality Quarterly study revealed companies are concerned that people with disabilities could not do the required work. Thus, employers who are largely impacted by what they see out of Hollywood do not want to give people with disabilities a chance. An increase in positive, diverse and accurate portrayals of people with disabilities on television and film can significantly help end stigmas that limit their health and lives. Award-winning actors, producers and directors can use their immense talents to help fight stigmas and advance opportunities for the 22 million working-age Americans with disabilities, only 1-in-3 of whom has a job today. RespectAbility wants to see many more great shows come out of Hollywood - like A&E's Emmy-winning and stigma-busting docuseries Born this Way, starring diverse young adults with Down syndrome who achieve in education, employment and good health. There should be more role models like those seen in Speechless, Superstore and Finding Dory. In addition to television shows and movies highlighting disability, RespectAbility calls on Hollywood to include people with disabilities in all television shows and movies like Arizona, an accomplished doctor on Grey's Anatomy. There is good work being done by SAG-AFTRA, GLAAD, the Media Access Awards, and other key leaders from the television, film and disability community. However, much more must be done to tear down stigmas that undermine people with disabilities' opportunities chances receive the education, training and employment opportunities we need to succeed, just like anyone else. Big stars can do a lot. But so too can showrunners, creative executives, writers, casting agents, actors and others. Changing hearts, minds and behaviors takes great messages, delivery systems and message repetition. Diversity and inclusion processes also are needed inside networks and studios so that diversity and accurate portrayals become natural and consistent.